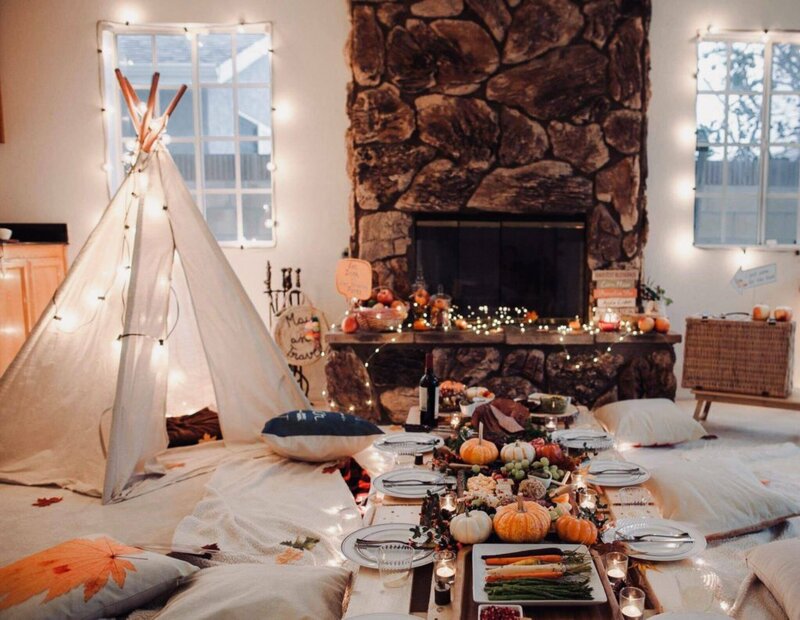 The leaves are falling, the weather has changed and the planning has begun. 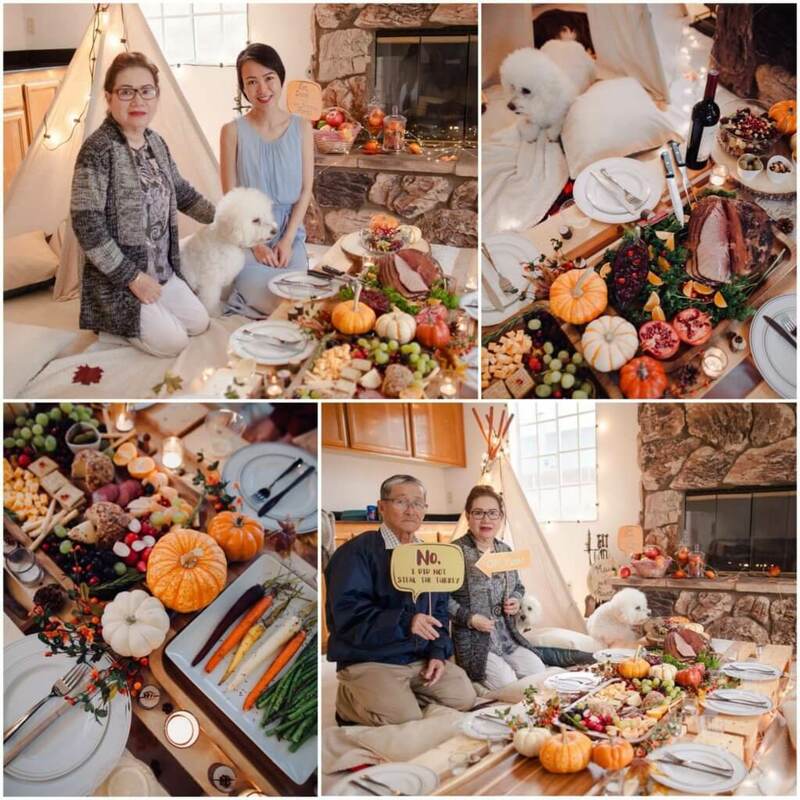 Thanksgiving is literally right around the corner! If you’re in need of some real-life inspiration, I’m here to help! 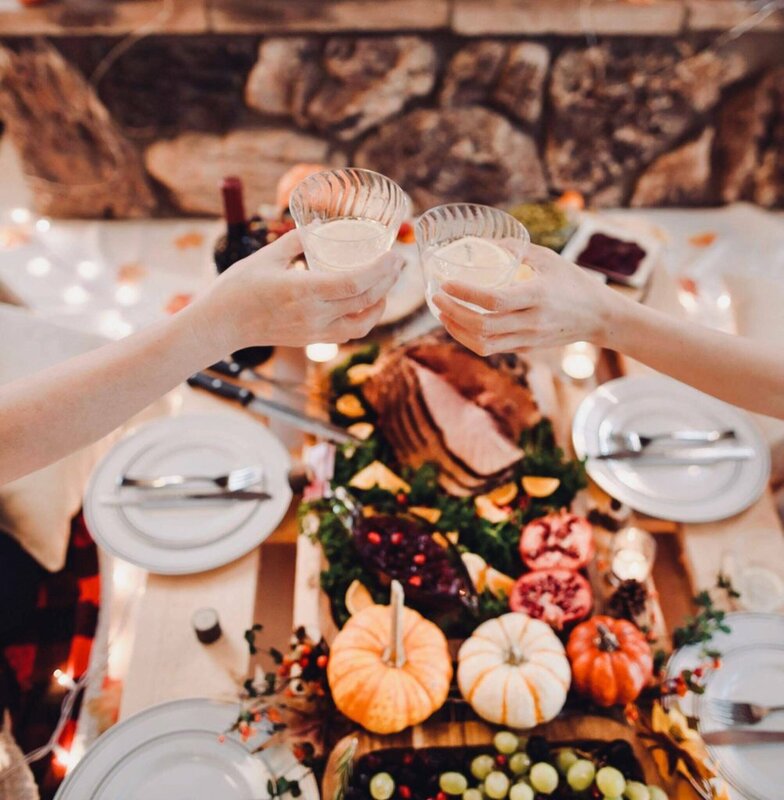 In this blog post I’m partnering with Hickory Farms to pull off the ultimate guide to help you plan a memorable Thanksgiving dinner that will certainly impress your guests! 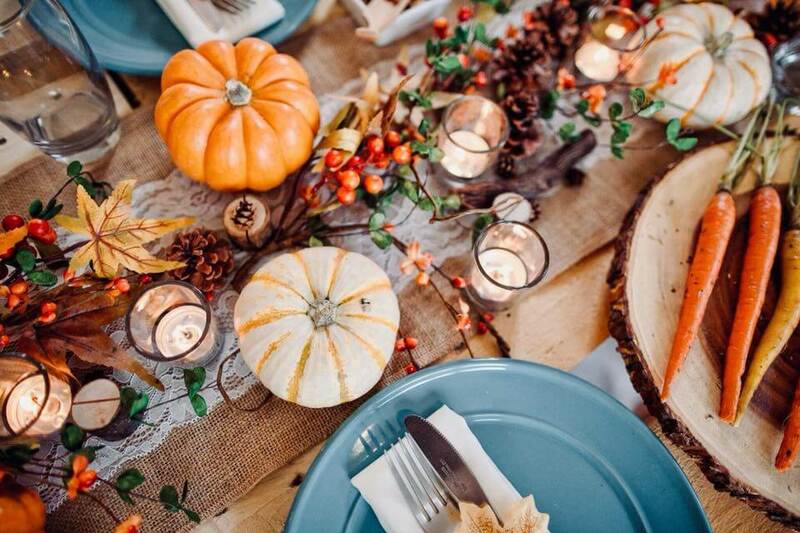 Whenever I design a tablescape, I like to pick a color palette first. It helps me define the mood of the table and narrow down the materials I want to use. 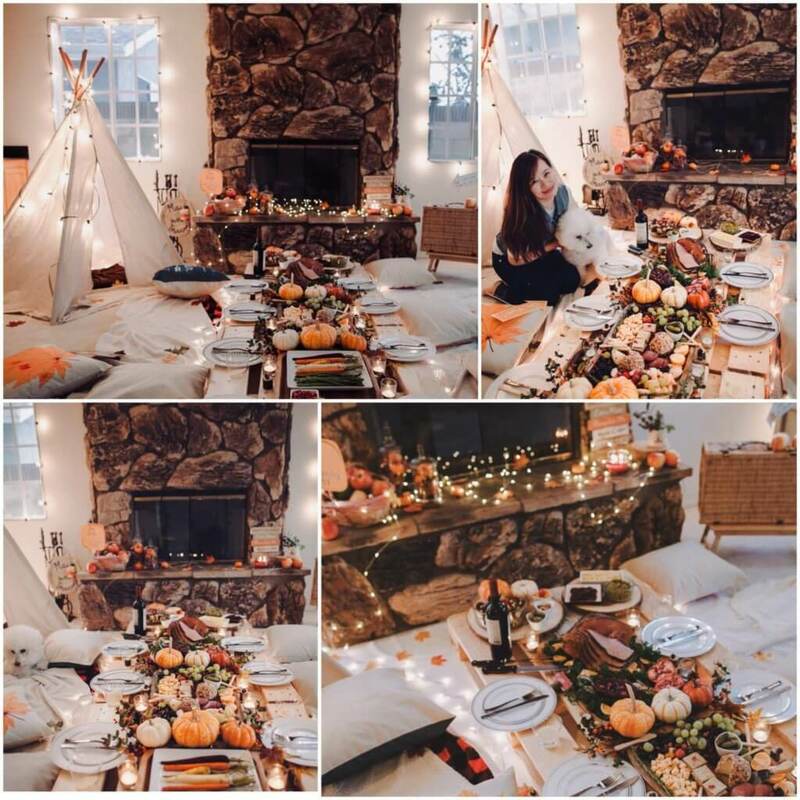 This year I wanted to use traditional fall colors like oranges and reds and go for a rustic vibe! 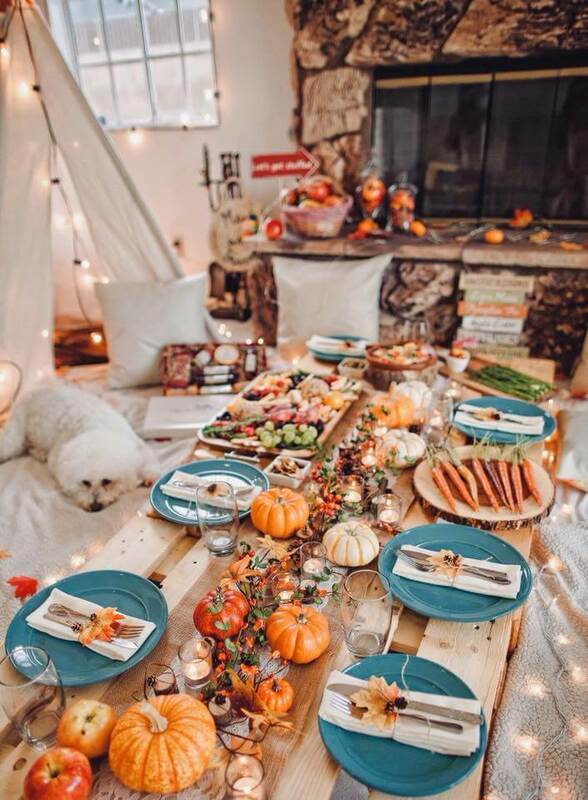 I combined 2 wood palettes to make a small picnic-style table! 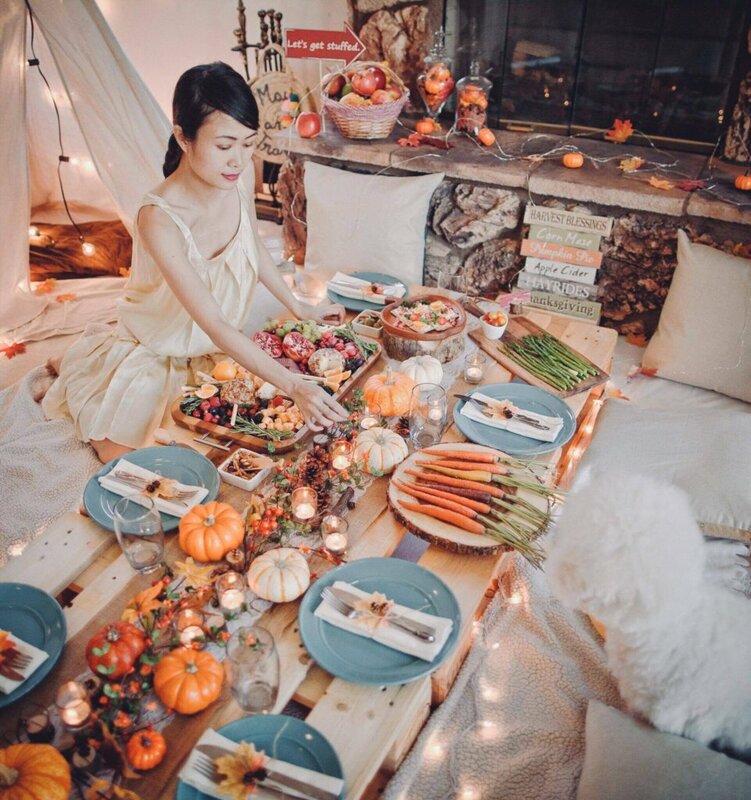 To create a rustic centerpiece for my table, I used seasonal veggies and blooms to give the table a lush, bountiful feel. 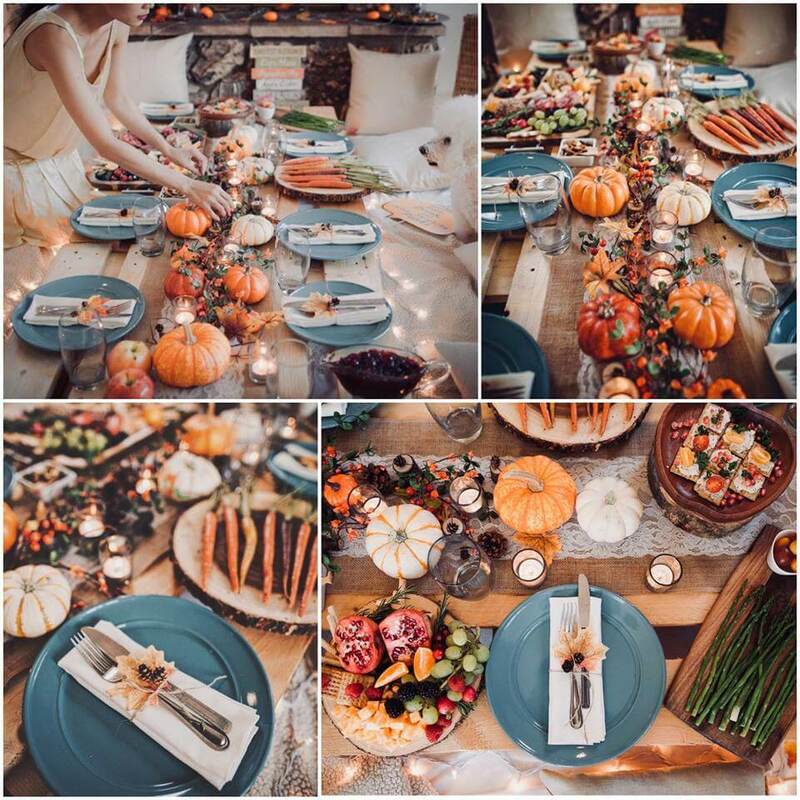 I used a neutral runner with white lace accent along the length of my table and arrange pumpkins/pine cones/gourds of all sizes! 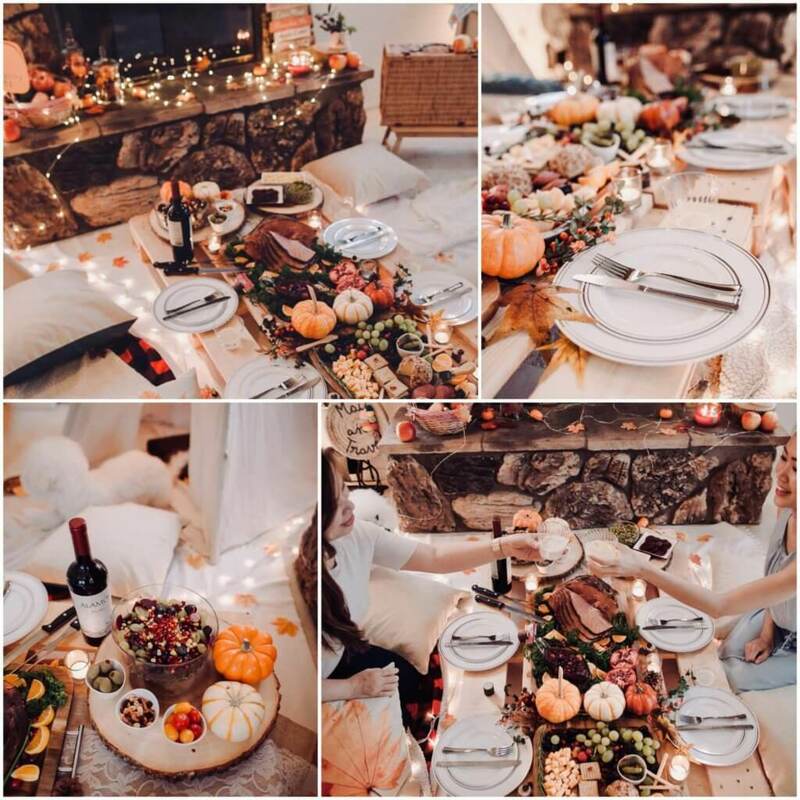 And I also put some white votive candles around the pumpkins! It’s all in the details. Placemats, napkins, napkin rings and place card holders are a big part of the overall look. You don’t have to own pricey china to design a dynamite table. You can make your own napkin rings that are seasonal, simple, and budget -friendly! 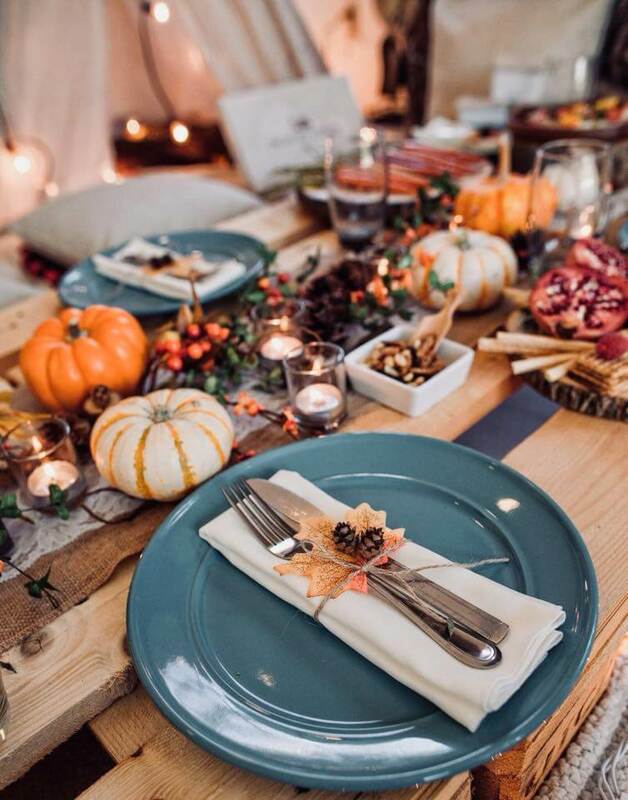 For the plate settings I tied the cutlery with a thin string of twisted twine, and added an artificial fall leaf with two mini pine cones. Simple and fresh…not to mention it smells great! 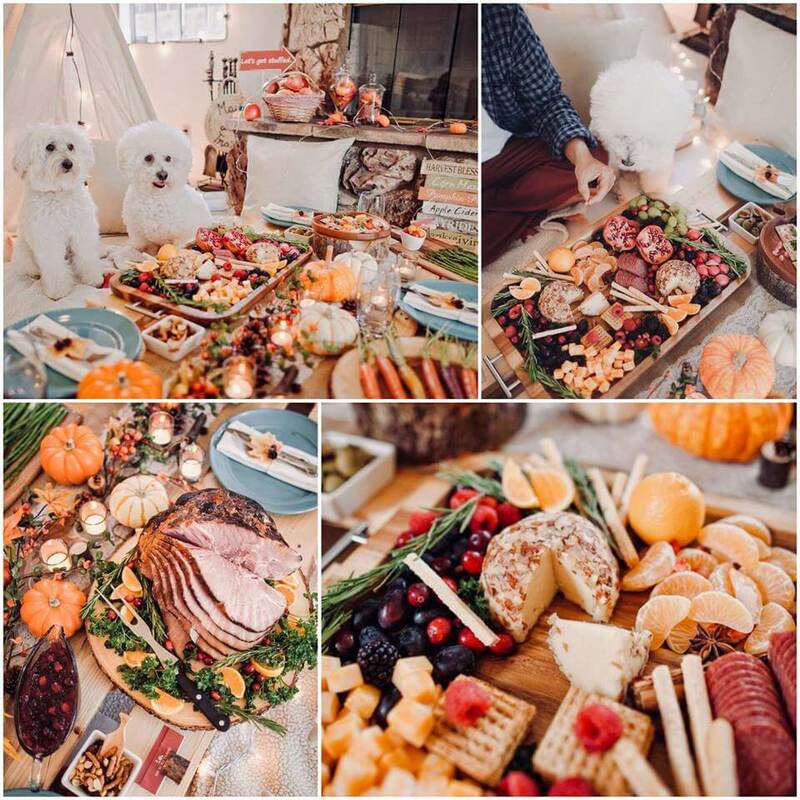 Use these Thanksgiving tablescape ideas or mix things up a bit to create your own style, setting the perfect mood and adding that special touch to your holiday table. 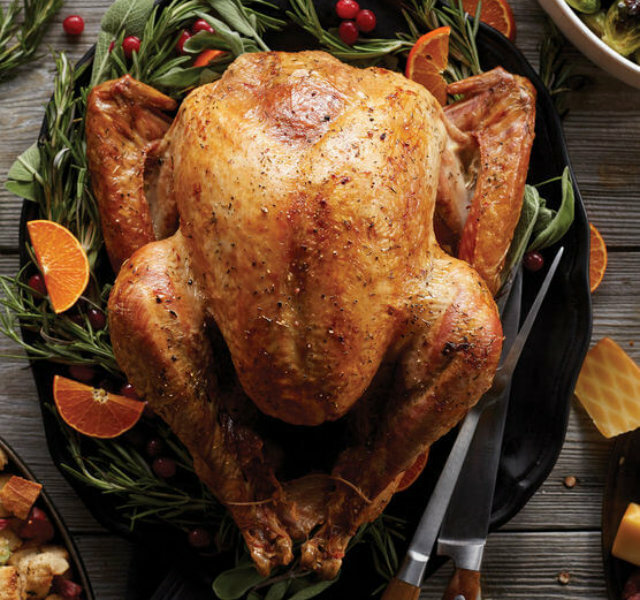 It’s important that you need to decide what to eat in advance, but with so many Thanksgiving recipes out there it can be a little bit overwhelming. Make sure you have these key elements covered to plan the perfect menu! 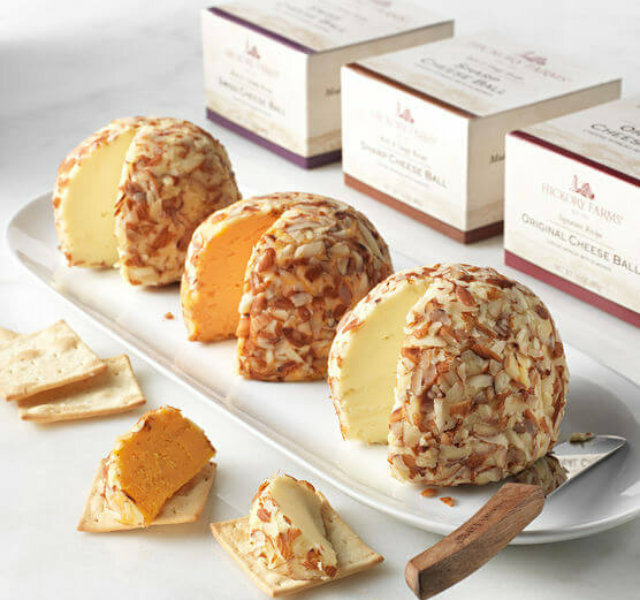 Stimulate your guest’s appetites with a little snack or hors d’oeuvres. 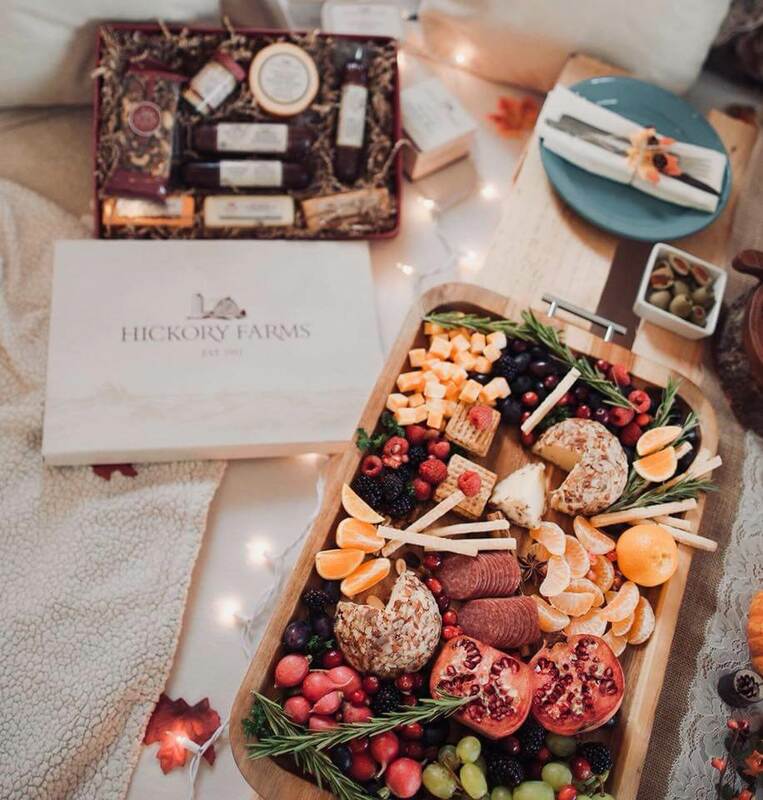 This year I decided to prepare a charcuterie board! 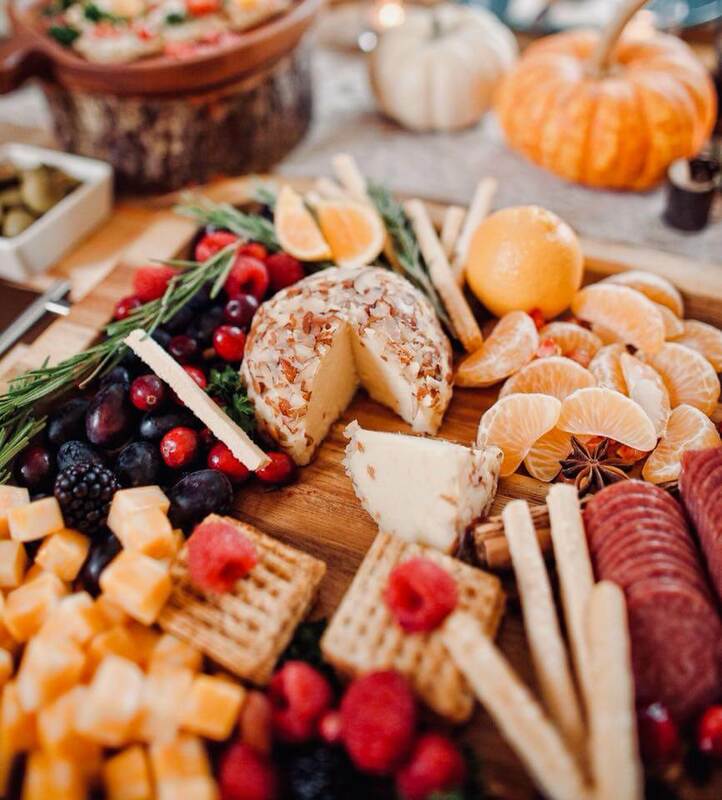 A charcuterie board, a selection of cheese and cured meats, is one of the best and easiest appetizers for a crowd because you don’t have to cook anything—all you have to do is grab your prettiest platter and assemble a few ingredients. 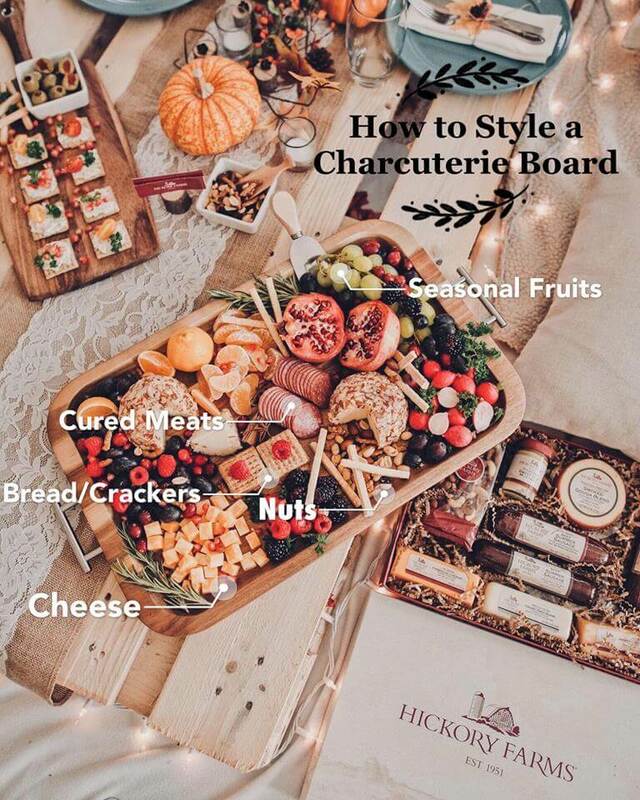 Here are some rough guidelines for making a mouthwatering charcuterie board! 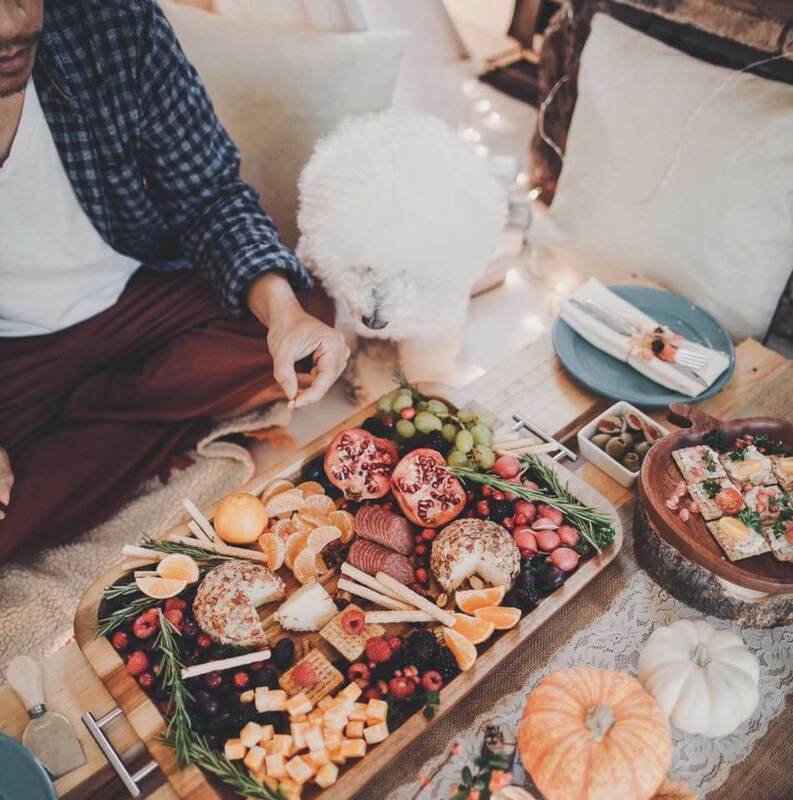 When building a charcuterie board, some of my must-haves are a long wooden board, cheese knives, a few serving trays and a selection of mini bowls/dishes. 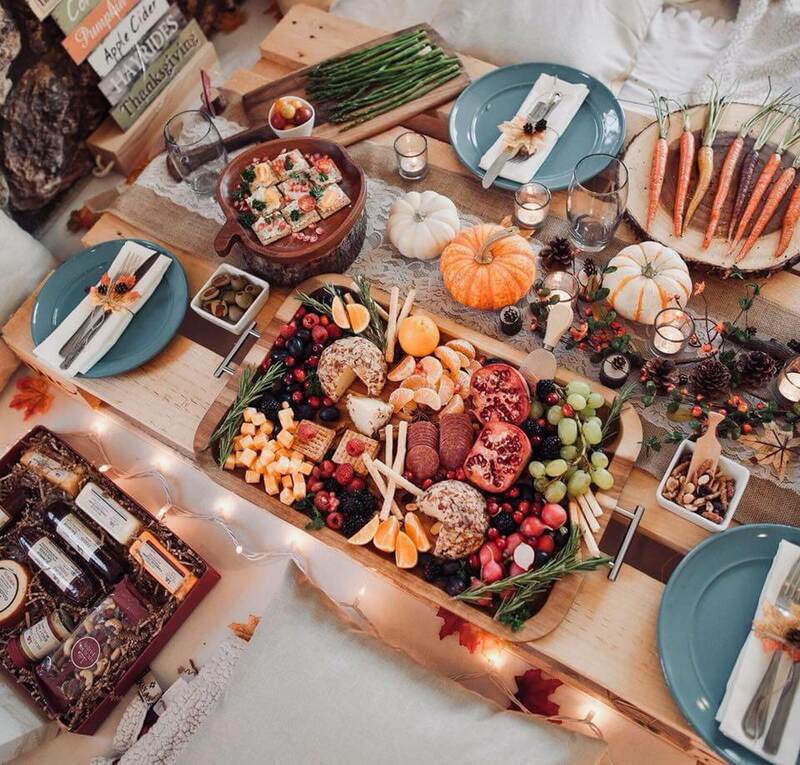 The rustic yet modern look of these products will bring out the vibrant colors of each food item, looking absolutely appealing for anyone who comes across this impressive spread. 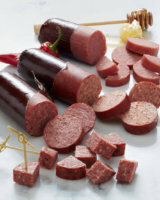 ***Meats: A variety of cured meats! 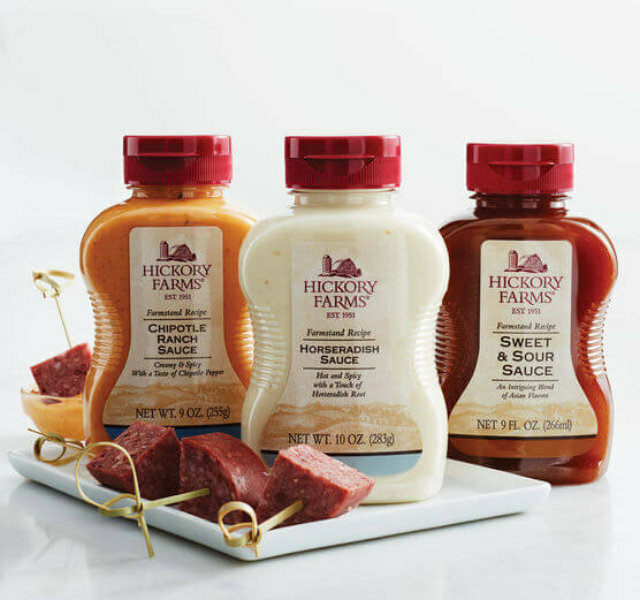 Everyone has their favorites, but my go-to choice for cured meats are Hickory Farms Signature Beef Summer Sausage! 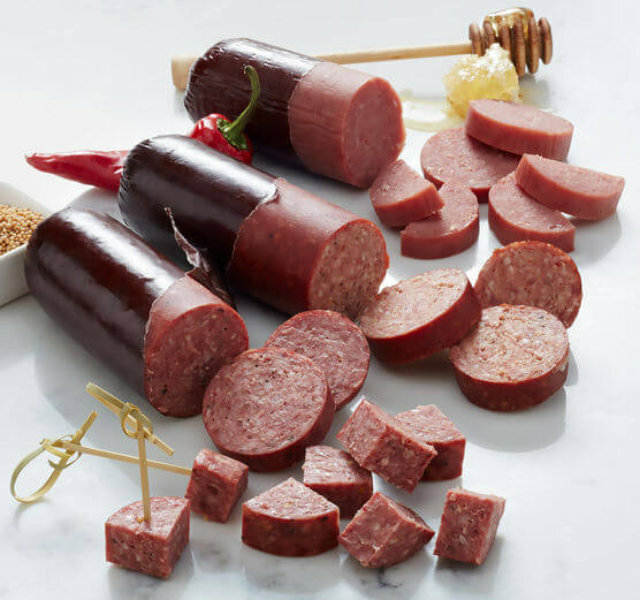 With 100% premium North American beef, the taste of hickory smoke, a hint of mustard seed and a dash of pepper, Hickory Farms Beef Summer Sausage is always my number one choice! 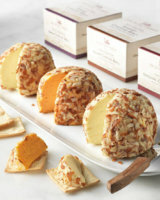 ***Cheese: Offer a variety of different types in texture and taste. Since everyone’s preferences are different, choose the ones that work best with your palette. 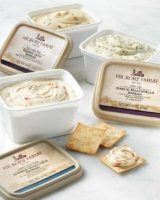 I normally go with 3 different flavors of Hickory Farms Cheese Ball: Original, Swiss, Sharp Cheddar! 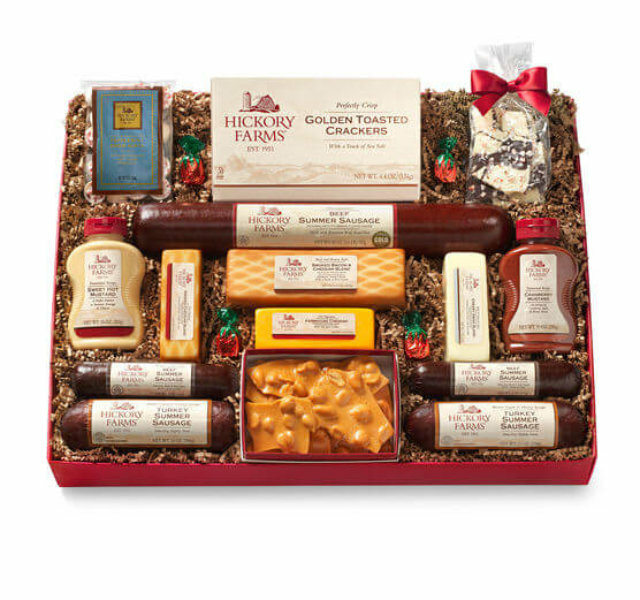 This flight is perfect for parties or game day gatherings—simply set out this selection with an assortment of crackers for an effortless snack for your guests! ***Fresh Fruits – In addition to dried fruits, fresh fruits are also an essential. 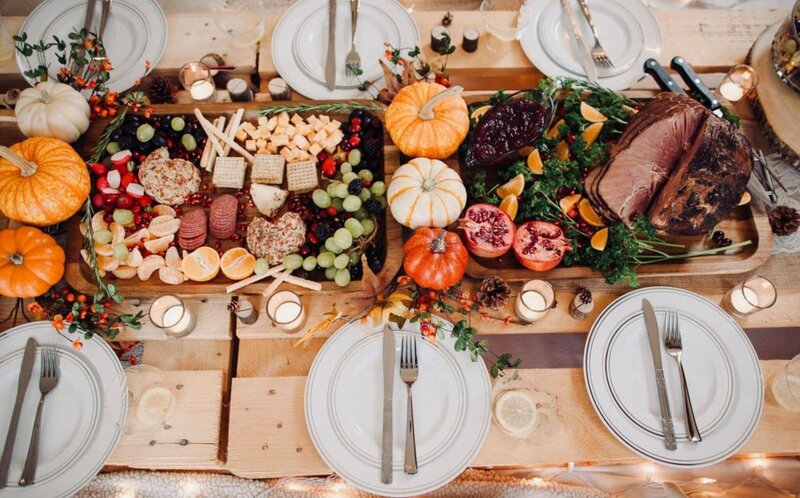 I’m arranging a variety of berries, grapes, tangerines, and pomegranate for my board! 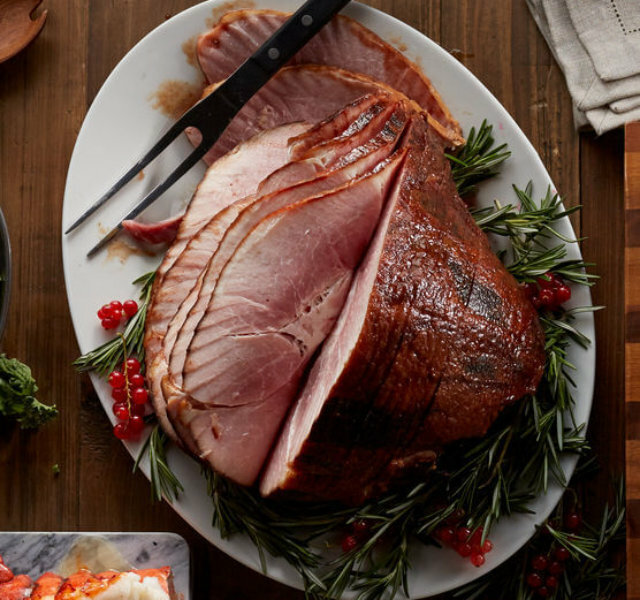 **Hickory Farms Honey Gold Spiral Sliced Ham: Slow cured with a touch of real honey, Hickory Farms Ham is sure to be the crown jewel of any party spread. 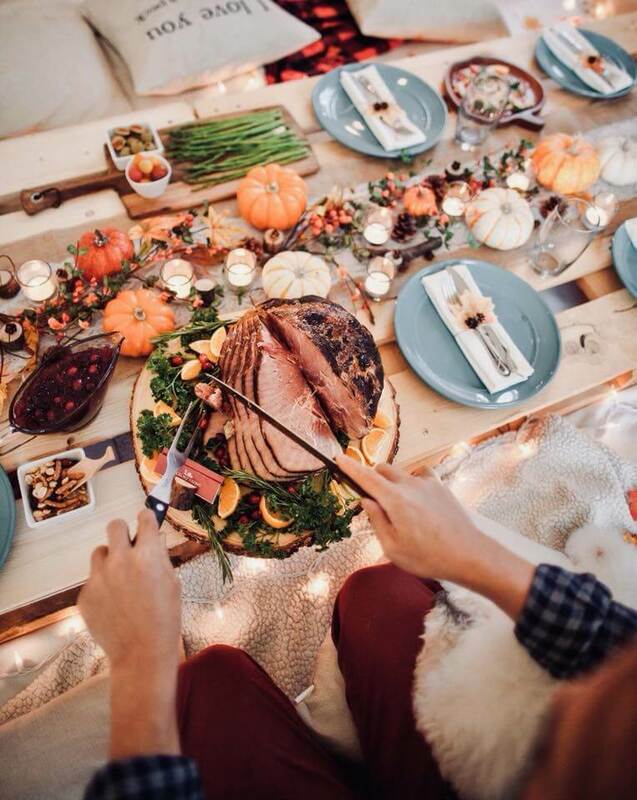 I’m serving their delicious ham with my home-made cranberry sauce! 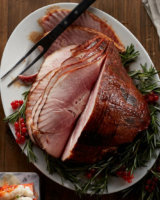 It’s fully cooked and spiral sliced, but to maintain freshness their honey ham ships frozen. 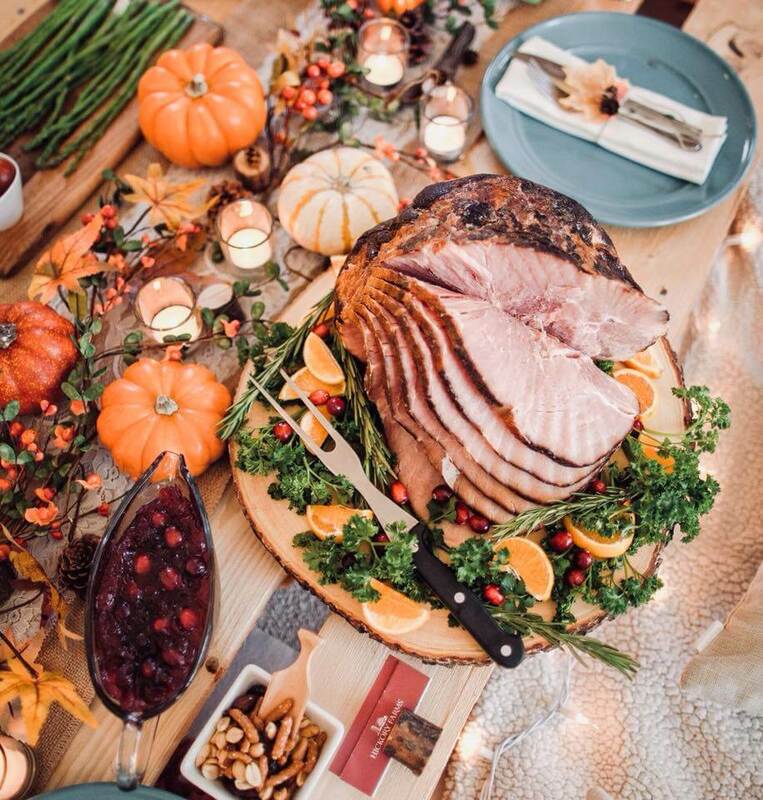 Another wonderful thing about Hickory Farms Ham is that it’s gluten free! 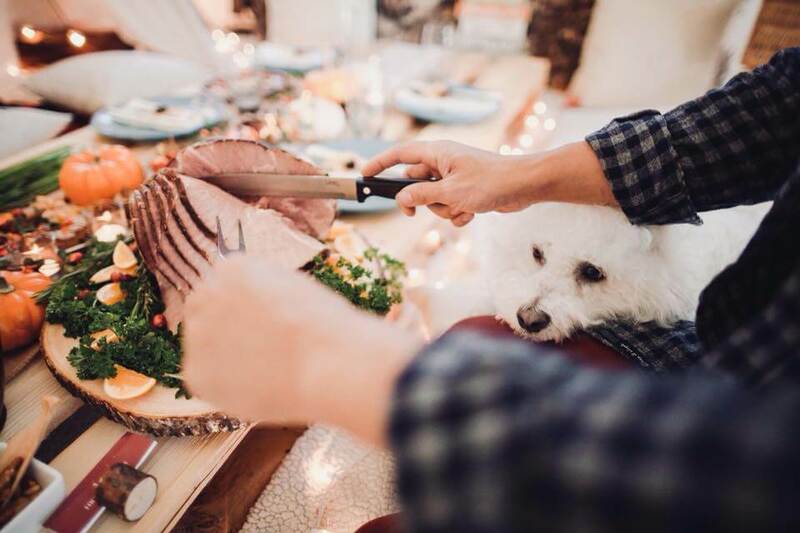 Everyone gets nostalgic and excited when they see their favorite delicious ham on the dining room table. 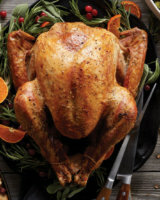 ***Hickory Farms Premium Turkey: No feast is complete without a juicy and plump bird. 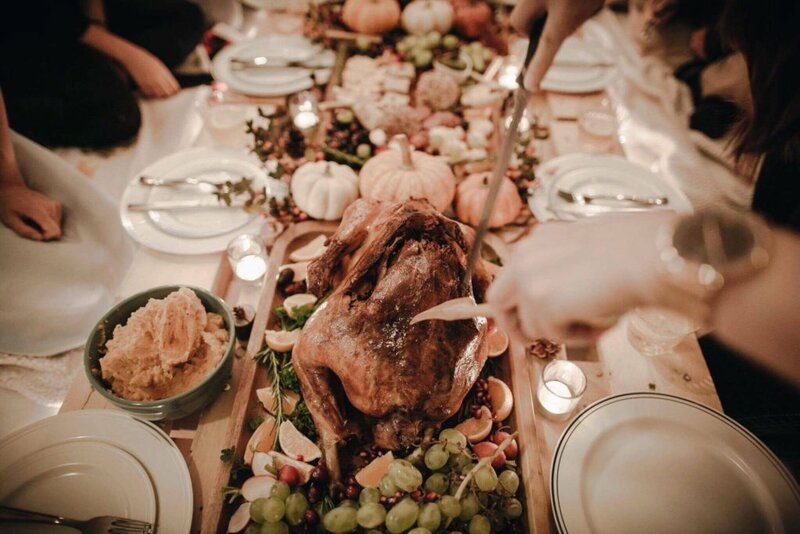 And Hickory Farms Premium Turkey is always our number one choice for the center of our holiday table. 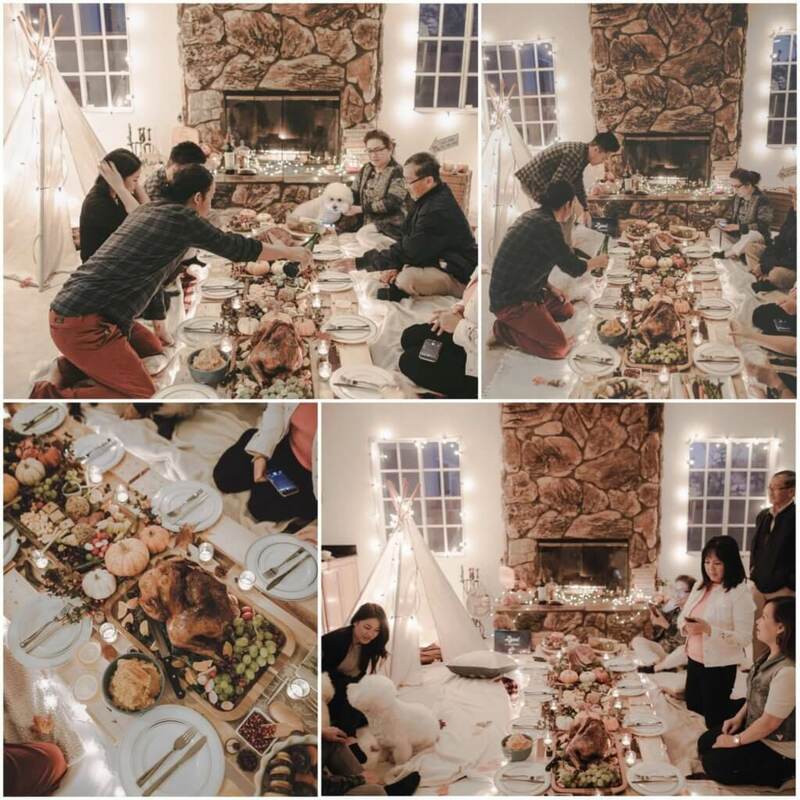 Our turkey is about 16lbs and feed 8-12 people. It arrived frozen, with thawing and cooking instructions included. 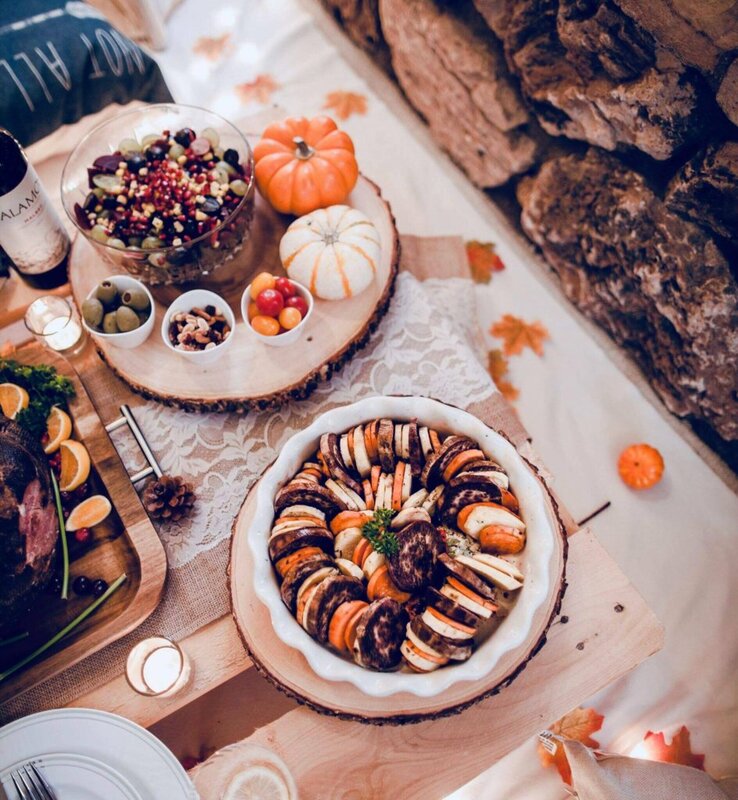 This is an incredibly easy side dish to put together for Thanksgiving. Roasting root vegetables brings out their sugary flavors and caramelizes the exterior while the interior becomes meltingly tender. 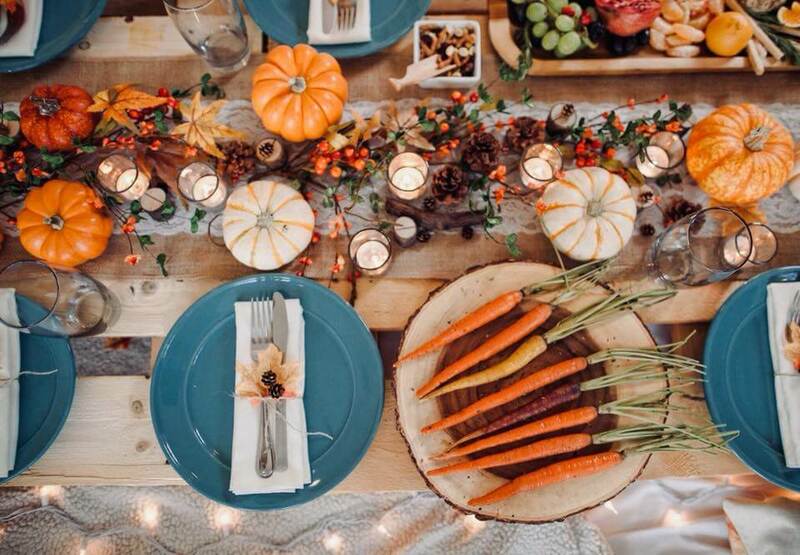 For a colorful presentation, choose heirloom carrots, which come in deep purples, yellow, oranges, and white. You can also use all carrots or all parsnips, or mix it up by adding more root vegetables like yellow sweet potatoes, yams, and turnips. 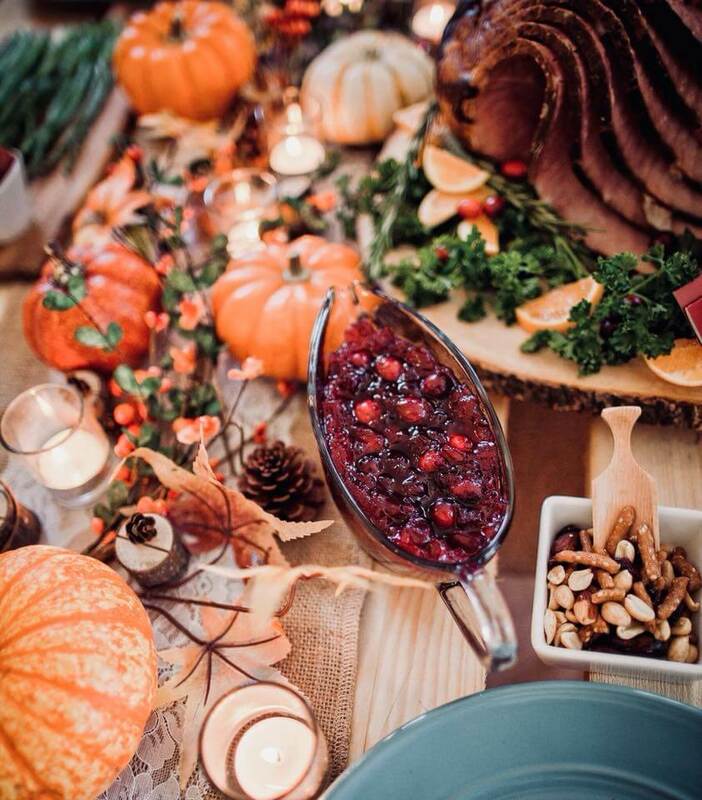 While most Thanksgiving foods generally fall into the ‘salty’ category, cranberry sauce compliments the rest of the meal by providing a touch of tart sweetness. 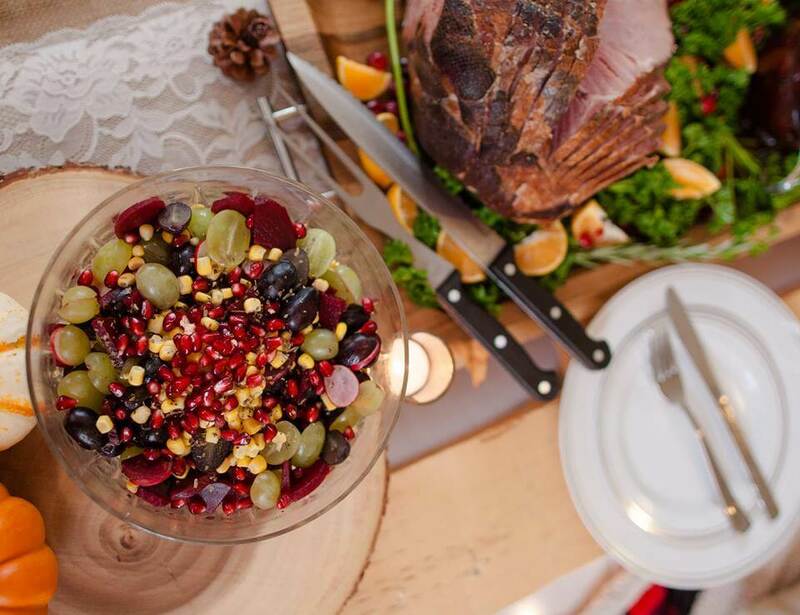 A fruit salad on a holiday table, whether served as an appetizer or side dish is a refreshing and flavorful change of pace from the many savory dishes.​ I prepared a bowl of grapes (black and green), beets, pomegranate, and corn! 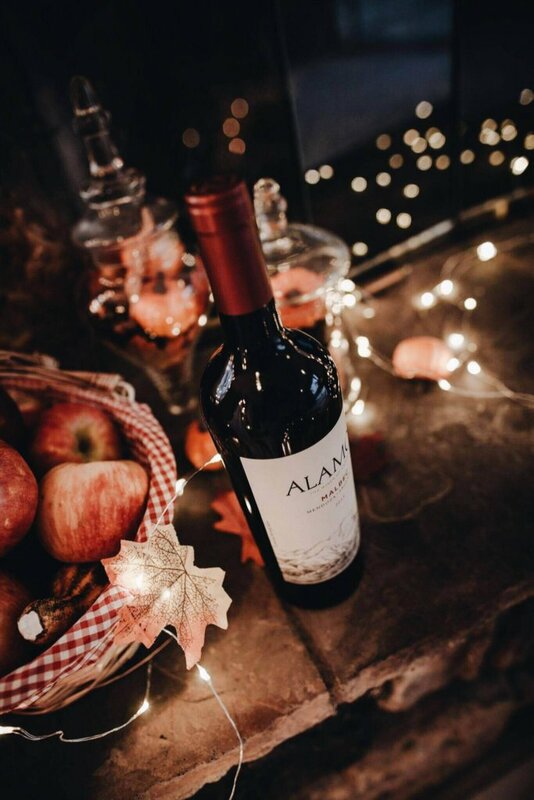 Whether we are with people we know well, or distant cousins, playing games together is a great way to break the ice and create fun memories and bonds. Games are also great because they can be adapted to all ages and skill levels. 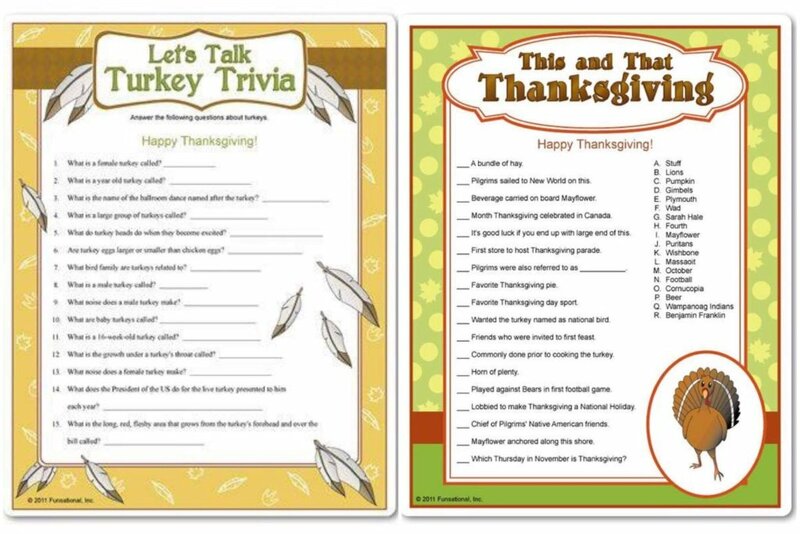 Go online and down load some printable versions of “Turkey Trivia”, “Thanksgiving Trivia”, “Thanksgiving Scramble”, “Guess the Right Price”,..These fun activities will fill up the time as you wait for the turkey to cook or as you recover between turkey and pie! 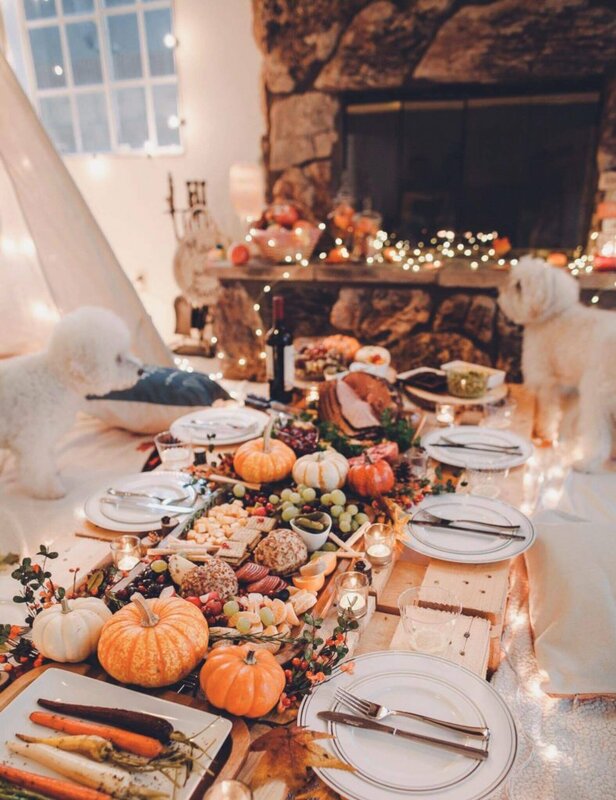 Here is a list of some of my favorite Thanksgiving Games! 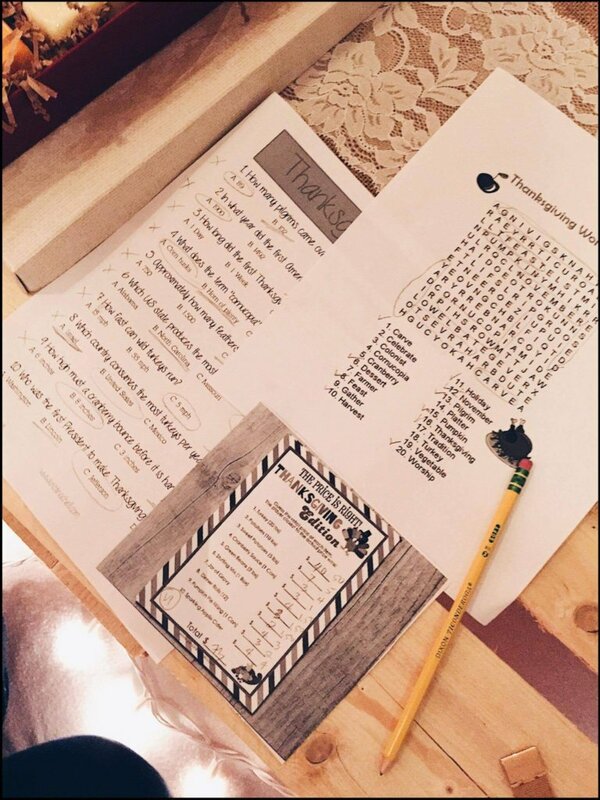 These games are the simplest of the bunch – just download, print, and play. 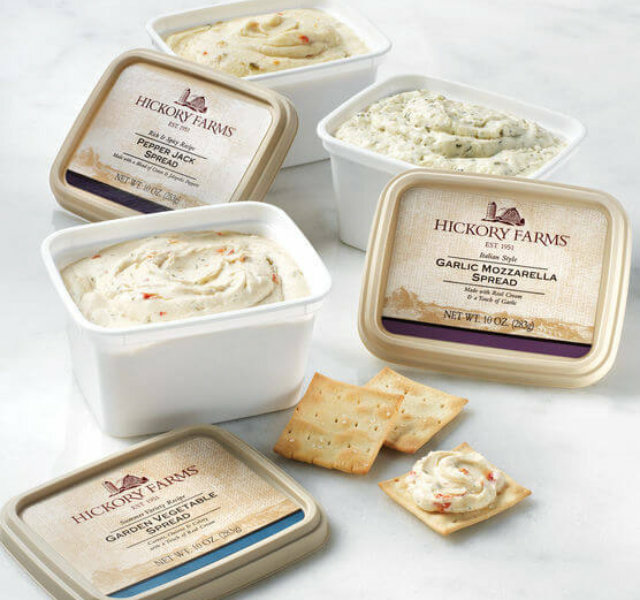 ***Thank you to Hickory Farms for kindly sponsoring this post. All opinions are 100% honest & completely my own. 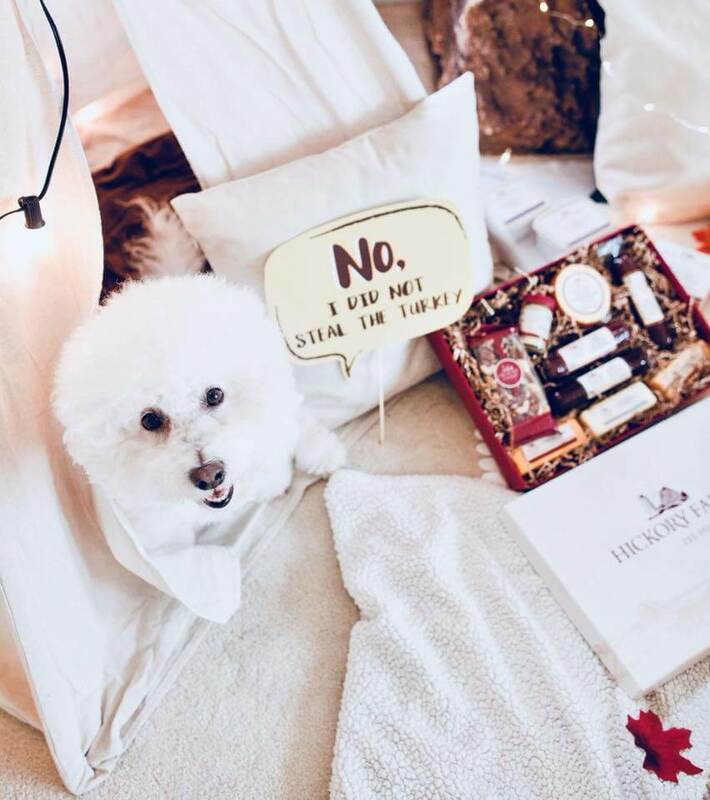 How to Host an Afternoon Tea Party at Home!